How does a non-profit organization break through with the message that zoo animals and wildlife need our attention? Well, we could wish for a social media post to go viral or start partnering with supporters to help us spread the word. The latter option is more practical than dreaming of that magic post. The Wild Animal Health Fund was started to be the voice of this message and to do the work necessary to take care of zoo animals and wildlife health. We are slowly spreading the word, gaining some support and funding critical non-domestic animal health research. As we are committed to making a difference, we know it takes ideas, time and money. So, we are very fortunate to have one partner who happens to be a zoo veterinarian that in his spare time creates incredible art. 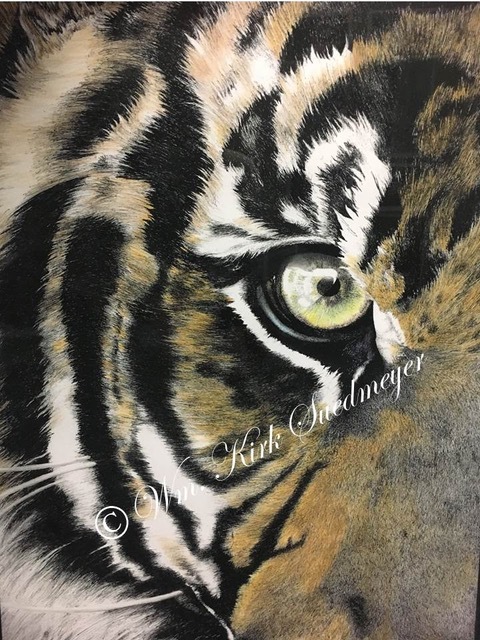 His art is now on notecards, and he will contribute $5 from the sale proceeds to go directly to funding animal health research through the Wild Animal Health Fund. Check out the incredible prints and make it a win for the animals! Go to this store link on the AAZV.org website to get your set TODAY. In advance, thank you for considering and purchasing notecards. The animals who can't thank you are grateful.